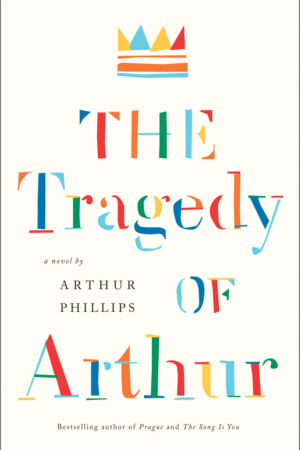 The Tragedy of Arthur is an emotional and elaborately constructed tour de force from bestselling and critically acclaimed novelist Arthur Phillips, “one of the best writers in America” (The Washington Post). Its doomed hero is Arthur Phillips, a young man struggling with a larger-than-life father, a con artist who works wonders of deception but is a most unreliable parent. Arthur is raised in an enchanted world of smoke and mirrors where the only unshifting truth is his father’s and his beloved twin sister’s deep and abiding love for the works of William Shakespeare—a love so pervasive that Arthur becomes a writer in a misguided bid for their approval and affection. Unless it’s their father’s last great con. By turns hilarious and haunting, this virtuosic novel—which includes Shakespeare’s (?) lost King Arthur play in its five-act entirety—captures the very essence of romantic and familial love and betrayal. The Tragedy of Arthur explores the tension between storytelling and truth-telling, the thirst for originality in all our lives, and the act of literary mythmaking, both now and four centuries ago, as the two Arthurs—Arthur the novelist and Arthur the ancient king—play out their individual but strangely intertwined fates. I have been reading a “newly discovered” Shakespeare play, The Tragedy of Arthur, that’s going to cause a stir in the coming year. Said to have been first published as a quarto edition in 1597, Arthur predates Love’s Labours Lost, and has been cleverly unearthed by the American novelist Arthur Phillips. Random House/Modern Library will publish the text in 2011 together with a “unique appreciation” by Phillips, who has been described by the Washington Post as “one of the best writers in America”. The text of Arthur demonstrates that there are few limits to Mr Phillips’ imagination. The most ambitious book on Shakespeare I’ve come across in many years. A funny, sad, absurd, moving, and very, very smart book. I don’t know if it’s fiction or non-fiction or both or neither, and ultimately it’s irrelevant. The best books tell great stories, and they make you laugh and piss you off and make you sad and make you happy you’ve read them and spent time with them. Phillips absolutely does that with this book.